The Atkins Diet is a popular low-carbohydrate eating plan created in 1972 by cardiologist Robert C. Atkins. The Atkins Diet restricts carbs (carbohydrates) while emphasizing protein and fats. The Atkins Diet has several phases for weight loss and maintenance, starting out with a very low carbohydrate eating plan. The Atkins Diet, formally called the Atkins Nutritional Approach, has been detailed in many books and is credited with launching the low-carb diet trend The Atkins Diet is a healthy lifelong approach to eating, whether you want to lose weight, boost your energy or help improve certain health problems, such as high blood pressure or metabolic syndrome. 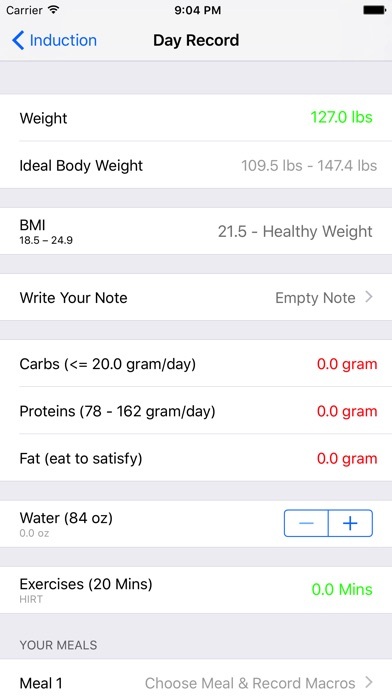 VICTO IDEAS Atkins Diet Tracker is a simple and reliable way to monitor your personal nutrition on the Atkins diet, so that you can achieve your ideal body weight with ease. The purpose of the Atkins Diet Tracker is to change your eating habits to help you lose weight and keep it off. + Personalize your macro goals to your specific body type and activity level. + Goals include losing weight, maintaining weight. - Your Meals, Water, Workouts. 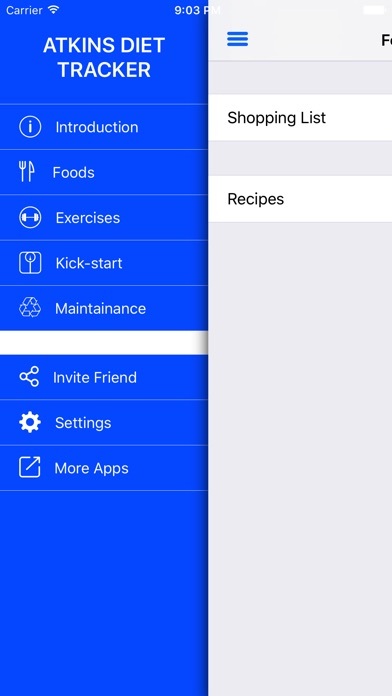 + Lots of Recipes To Choose (We’ Adding More Recipes Over Time). 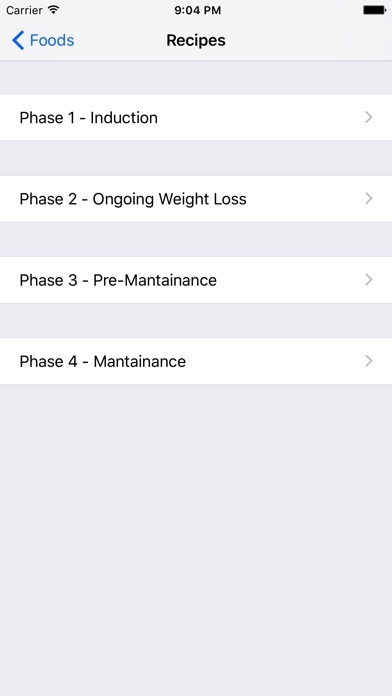 + Built-In Atkins Kick-Start ( First 3 Phases ) And Maintenance Phase. 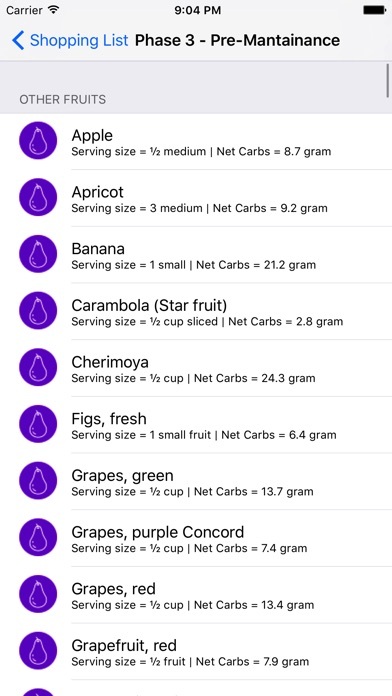 + Smartly Adjust Water, BMI, Macronutrients Recommendation. + Exercise Apps Are Included. + Reset-Able Calendars (Phases, Days) . + Simple, Clean And Native iOS Design. 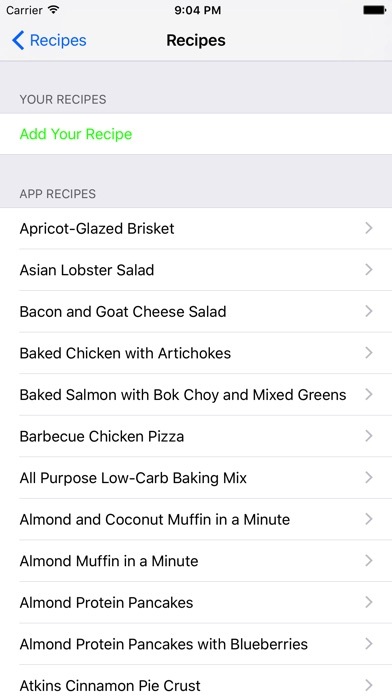 + Built-In Reminders (Set Both Meal And Training Reminders). + Quickly Switch Between Metric And US Units. Download now to start losing weight today!! !